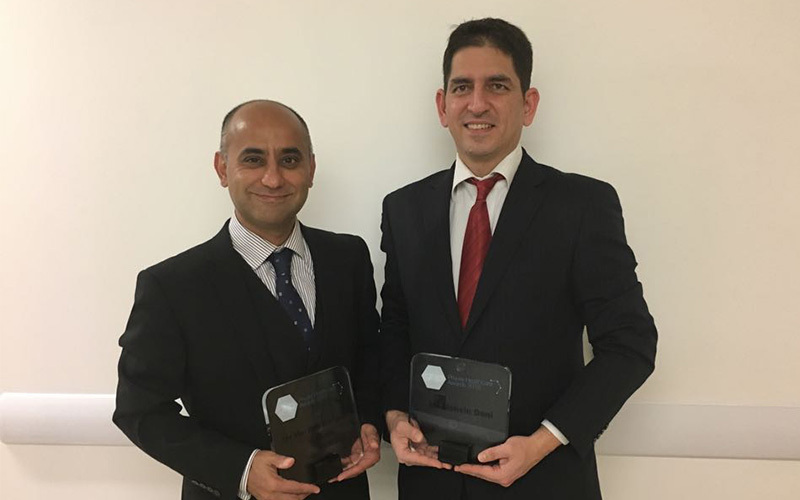 After many years of evidence based practice in treatment of breast cancer as well as cosmetic breast surgery, Mr. Devalia and Mr. Dani have brought advanced technique of local perforator based flap surgery (LICAP, MICAP) for the people of Kent and South East London. This technique allows breast conservation even for large cancers, for which the only option would have been mastectomy and complex breast reconstruction with long recovery. LICAP & MICAP allows patients to avoid mastectomy, retain normal breast tissue and offer quick recovery with minimal hospital stay. In addition to breast cancer work, Mr. Devalia and Mr. Dani take pride in revising complex breast cosmetic procedures and enhancing aesthetic breast appearance. In recognition of their exemplary work, they have won the award of best oncoplastic and aesthetic breast surgeons, England.